TECHNOLOGY-All That Matters Today: Is Google Chrome Web App Store an opportunity for web developers? 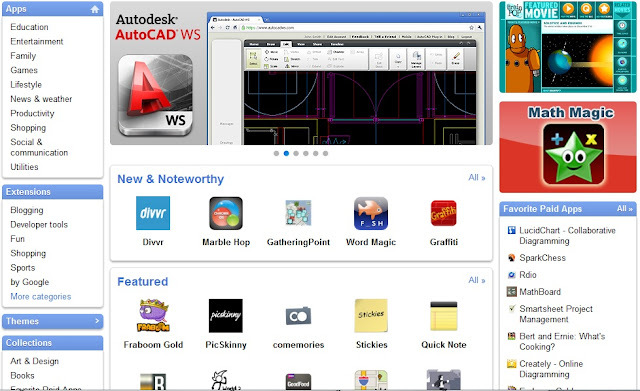 Is Google Chrome Web App Store an opportunity for web developers? Recently Google ,the search giant, unveiled its Web App Store for Chrome browser at Google IO Developer Conference. You can practically check this out by opening a new tab in your Chrome browser. 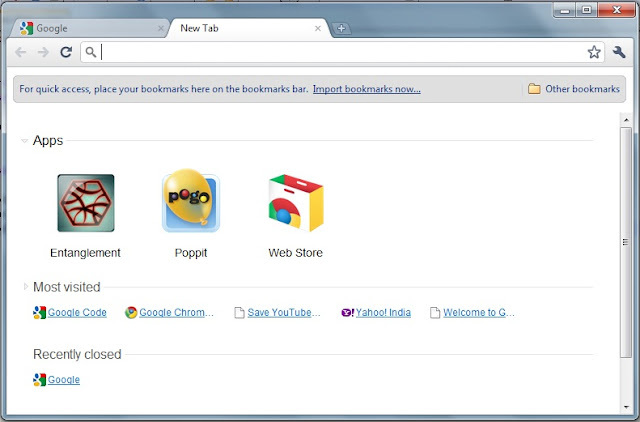 The picture below shows the applications installed in my Chrome browser. The Web Store (third from left) is a default app which links to the Chrome App Store. Chrome App Store can contain paid as well as free applications that can run in the web browser as stand alone application or the hosted web application. You can find the Developer Documentation here. All that a programmer needs to develop an application for the chrome app store is to know HTML and some scripting language. Thats the reason when I look at the Chrome tab showing me something like in the above picture, I persistently see an opportunity for the future of the web and the web programmers. From my research and point of view, I personally feel that this might be a strategy of Google to provide a full-fledged app store for its to-be-launched Chrome Operating System. Chrome OS based PCs by name Cr-48 have already been released to some developers in Nov 2010. Chrome Web App Store will be officially launched to customers by the year end. By the time the network based Chrome OS is released officially to the customers, the Chrome App Store will be in its full strength with probably more than hundreds of thousands of web applications for users to install and play around with. Not only this but Google is also geared up to provide support for many ubiquitous file formats like xlsx, pptx, svg, ttf etc. in Google Docs to pave a way to flourish its upcoming network based Chrome operating system. Like as every coin has two sides, there are some who are saying 'what exactly is Google selling in the name of Software as a Service' and yet there are some who show a firm confidence, in what Google is trying to formulate the web, by saying '5 reasons why Chrome OS will succeed'. I just would like to say, 'just believe in yourself and do what you like'. You like web programming and wanna write some game or some application for Chrome App Store...! just GO FOR IT... Don't give a damn to what others are saying, just don't think if this will succeed or not, if this will persist or not. JUST GO AHEAD.